Reading’s municipal transport undertaking has been part of Reading’s townscape and a vital part of its life for more than a century. 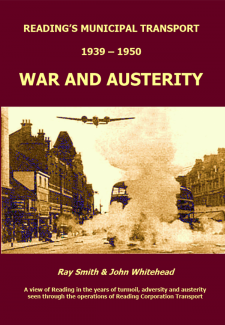 This volume documents its history during the Second World War and the years of austerity following, vividly recounting the difficulties of operating a provincial bus fleet in the face of wartime shortages yet with increasing passenger demand and under the ever-present threat of air raids. Reading’s municipal transport undertaking has been part of Reading’s townscape and a vital part of its life for more than a century. This volume documents its history during the Second World War and the years of austerity following, vividly recounting the difficulties of operating a provincial bus fleet in the face of wartime shortages yet with increasing passenger demand and under the ever-present threat of air raids. Rising post-war demand for its services then stretched the undertaking further in those early years of peace. The book thus offers a unique insight into the operation of a municipal bus fleet in a medium-sized provincial county town. The account has been set into the wider national and social context, being deliberately told alongside the social history of the day – and is surely much richer for being told thus, the pressures of war and subsequent austerity affecting every aspect of life. The text has been supplemented by a wealth of contemporary photographs, many not ordinarily available in the public domain. Reading had said a final goodbye to its trams and replaced them with trolleybuses only six months before war was declared, so It was fortunate that these electric vehicles, which comprised over a third of the fleet, could shield the town from the full force of compulsory petrol and diesel rationing. Fortunately, Reading did not suffer the destruction suffered by other British towns and cities. Designated a ‘Safe Town’, the population rose progressively with an influx of evacuees and a number of military establishments and businesses looking for a safer haven, all of which obviously had clear implications for the Transport Department – nearly 20 million passengers had been carried in 1938 but nearly 41½ million in 1945, and all achieved with only six extra trolleybuses, while four new motorbuses merely replaced four which were hopelessly obsolete. Evacuation buses, factory specials, and late night munitions specials all add to the story. There followed the years of austerity, with a continued high demand for bus travel, further stretching the undertaking as the town expanded. This is a book aimed at the local historian as well as omnibologists but it will also offer much of interest to other social historians about the impact of war on the infrastructure and patterns of daily living. Of course, it will re-awaken memories in those who lived through those times but it also particularly stands as a tribute to those who kept Reading Corporation buses and trolleybuses moving during the war and in subsequent years. Thank you so much……for providing answers to many questions raised some seventy years ago, most of which had remained dormant or even forgotten since. You and Ray Smith have produced an exceptional work, not only for its transport content but as a record of life in a provincial town during the second world war – real Social History, obviously compiled from newspapers, official notices [etc.] as well as the Transport Dept. minutes but importantly from recollections from people themselves; notes, jottings from early bus enthusiasts and of course the photos from Bill Haynes. How he obtained film and why he wasn’t prosecuted is a mystery. I believe he was friendly with Mr. Jordan, which may account for his visits to Reading. So, congratulations to you and your team; what must have involved literally years of research is now a solid piece of invaluable information, good to look at and easy to read. I just hope that you can persuade enough folk to buy it! Please accept my sincere congratulations on your book “War and Austerity”. It is, if I may be permitted to say, a definitive work of the highest order. It is much, much more than a “book about buses” but is a Social History of life in wartime conditions in Reading. The attention to detail is just wonderful and my memories are set racing in my head as I read! From the age of eight until eighteen I was a pupil at Reading School and lived in Erleigh Road. I remember the disused trolleybus overhead. It was part of the everyday scenery. I also witnessed an incident involving Leyland ‘Titan’ motorbus number 2 somewhere near the end of its life. Just outside our house was the penultimate stop on Route M. The bus arrived from town, passengers alighted and two bells duly rang, There was a ‘pop’ sound and a sheet of flame shot forward from beneath the radiator. The driver leaped from the cab and ran away!! I remember finding it quite hilarious and my mother came through from the kitchen to see what the matter was. Well, it was top-line entertainment for an eleven-year-old! Having been born in Woodley before the Second World War and lived all my formative years there and in Reading, I relate closely to the social and transport history of the town and its’ immediate area. Your new book is magnificent – I obtained a copy on Friday last and have basically been unable to put it down – it is both beautifully written and quite brilliantly illustrated. I have spent the weekend wallowing in nostalgia – well aware that the ‘parrallel’ story told by Paul Lacey in two of his volumes on The Thames Valley Traction Company (1931-1945 and 1946-1960) had much the same effect. Those years of gas lights, pumped water, coal fires and septic drainage with much ‘make-do-and-mend’ seem but yesterday! Congratulations to all of you, and sincere thanks. 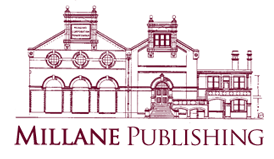 Copyright © 2014. www.MillanePublishing.com. All rights reserved.